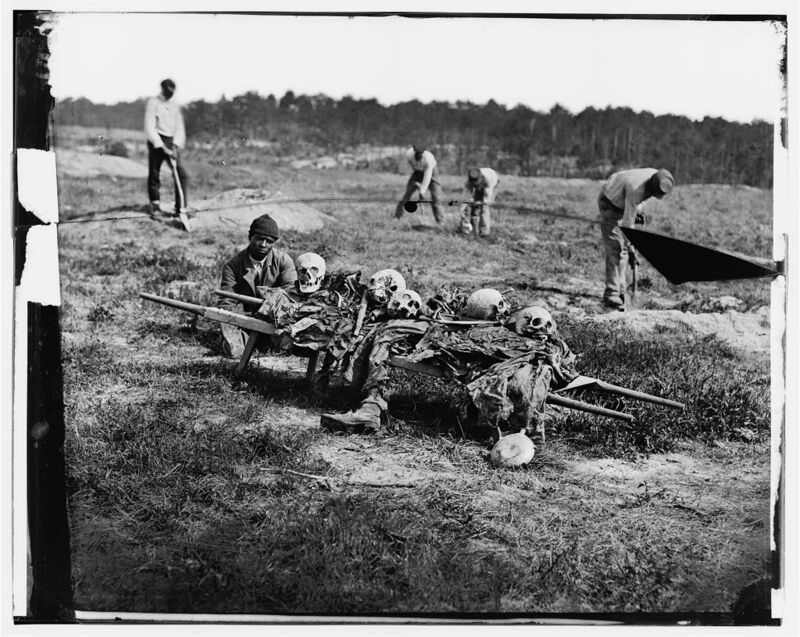 The numbers are especially shocking when you remember that the population of the United States in 1860 was only 31,443,321 — which means that nearly two percent of the U.S. population died in the Civil War. Both sides in the conflict lost about the same fraction of their troops — 23 or 24 percent — so one soldier in four died. The following table lists battles with more than 20,000 casualties. 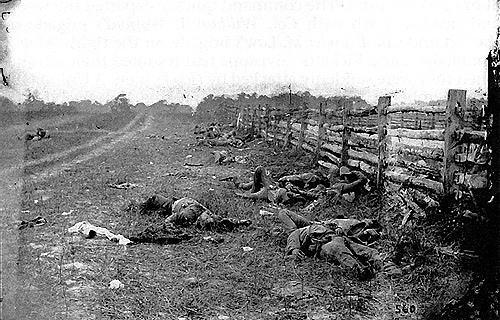 Here, “casualties” includes killed, wounded, captured, and missing. Note that estimates of casualties vary — often widely — and we've tried to give the most commonly cited numbers or ranges, rounded off for simplicity. 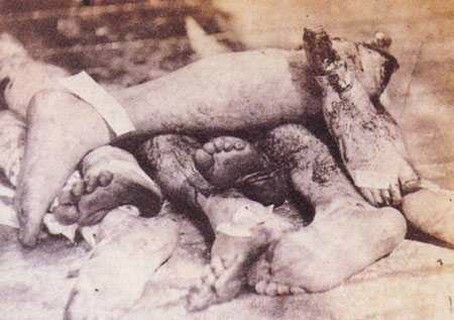 It was often loss of life or loss of limb for the Civil War soldier. Military technology improved tremendously in the middle of the nineteenth century. In particular, new guns could be loaded faster or fire multiple rounds without being reloaded. The first revolver was invented in 1836, and breech-loading rifles could be loaded from the back, letting a solider fire more rounds per minute. The minie ball made infantry fighting especially deadly. A rifled barrel spins the bullet and thus makes it fly straighter — think of the spiral on a football — but older rifles had to be loaded by slowly stuffing the bullet through the grooves of the barrel, which was not practical for someone in the heat of battle. The minie ball was smaller than the diameter of the barrel, and so a soldier could load his rifle simply by dropping the minie ball down the barrel. When the rifle was fired, the powder in the cartridge burned, producing hot gas that caused the minie ball to expand and fill the barrel. The grooves in the base of the ball then fit into the grooves of the barrel. The rifle and minie ball gave a new advantage to the defense in a battle. Older muskets — without rifling — had a much smaller range, and allowed soldiers to get close enough together to fight hand to hand, with bayonets. 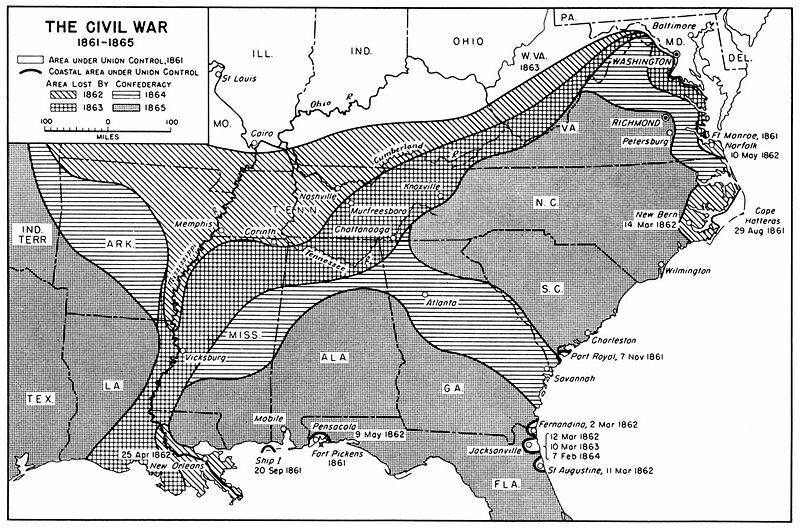 In the Civil War, armies engaged each other at greater distances. Artillery also became less important, because cannon crews could be picked off by distant marksmen. As a result, an army with a good position could simply mow down enemy soldiers making a frontal assault. If you look at the table above, you’ll see that twice as many men died of disease as were killed in battle. So many men living in close quarters, under great stress and often with poor nutrition, were subject to epidemics. Diseases such as measles, mumps, and whooping cough swept through the camps. Near swamps, mosquitoes brought malaria. And already-weakened soldiers who caught a common cold often developed pneumonia. 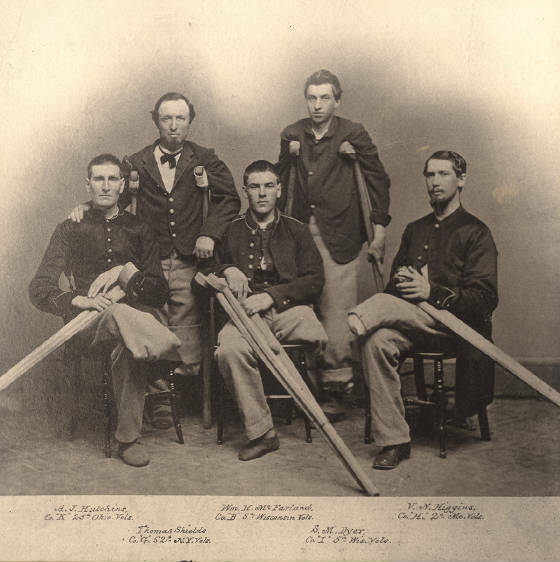 Not only were the causes of disease still poorly understood in the 1860s, but by today’s standards, army surgeons — military doctors were all called “surgeons” — were not skilled at treating disease or at repairing wounds. They operated in conditions we would find primitive, with no antibiotics, no painkillers, and no means of sanitizing surgical tools. Since the germ theory of disease (that disease and infection are caused by microorganisms) hadn't yet been developed and accepted, doctors wouldn't have sterilized their tools in any case. Disease claimed more in killed than all other causes combined.